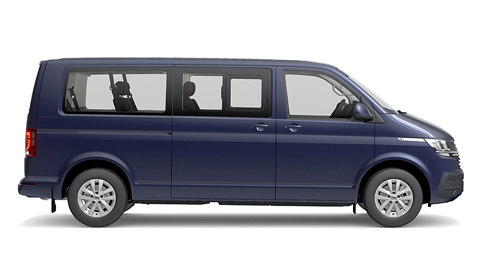 If you’re looking for a flexible, spacious vehicle for work or play, the Caravelle people mover has you covered. Perfect as a professional vehicle, and just as good at shuttling around a growing family to their many extracurricular activities. Shuttle up to nine people in this super practical people mover. The modular system enables seats to be easily repositioned. The double-folding 3-seater bench is especially handy and can be removed to expand the luggage space in a matter of moments. When you’re behind the wheel, the Caravelle’s state-of-the-art safety systems jump to the rescue in critical situations to help reduce the risk of accidents on the road. All the technology you’d expect. The Caravelle has the smarts to rival its capacity, boasting the latest technology to make every trip enjoyable.